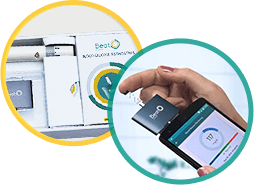 Your BG reading will reach our Diabetes experts instantly. 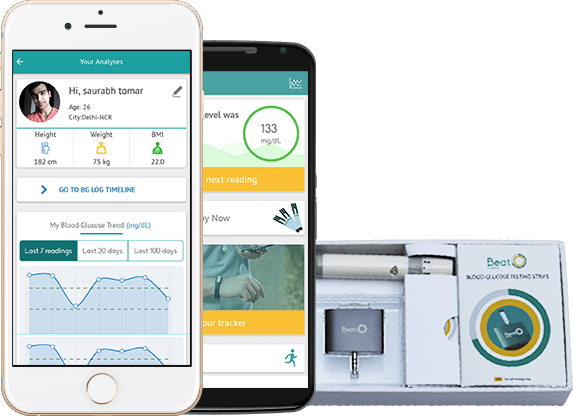 Diabetes Management just became easier with our handy Glucometer that connects to your smartphone and personalised Diabetes experts to proactively guide you. 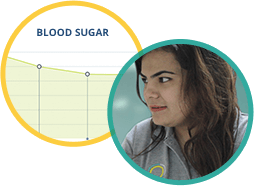 Get expert guidance based on your blood sugar patterns from our team of certified Diabetes experts who proactively monitor and analyse your results. 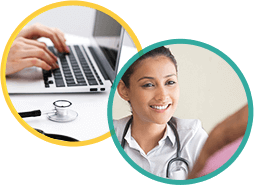 Along with an expert team committed to help you attain healthy BG levels, we also advise & help you with routine tests and physical exams with at home sample collection & counselling on reports & results. Our affordable Retinopathy screening at home has helped early detection & timely treatment in 15% of our members. 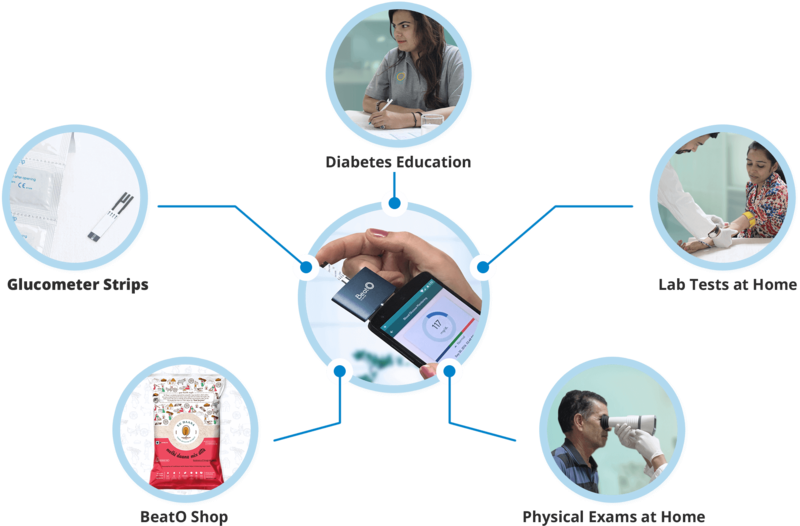 BeatO App has partnered with leading healthcare service providers to ensure Diabetes never becomes life-threatening.